We have elucidated the potential role of maternal vitamin D during pregnancy for offspring health and development. 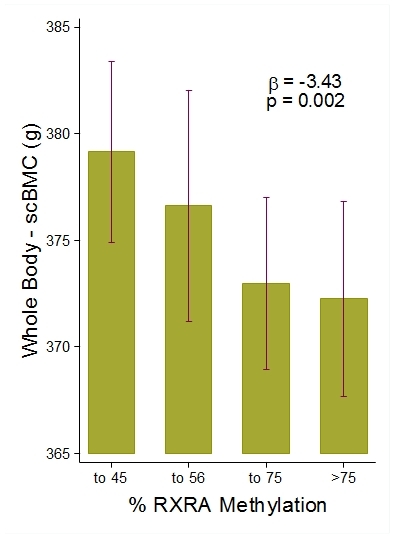 Evidence from the Princess Anne Cohort Study demonstrated that mothers with low levels of 25(OH)D during pregnancy had children with reduced bone mass at nine years old. 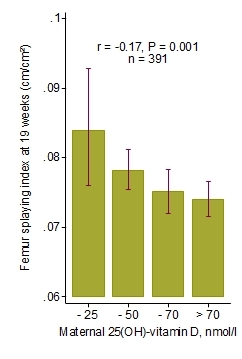 Similar findings emerged from the Southampton Women’s Survey, and we have also characterised associations between maternal vitamin D status and offspring bone shape, using state of the art high-resolution ultrasound scanning during pregnancy. Our mechanistic collaborations with the Institute of Developmental Sciences have revealed potential roles for placental calcium transport and the epigenetic regulation of genes intimately involved in vitamin D signalling. Harvey et al., Trials 2012;13:13. 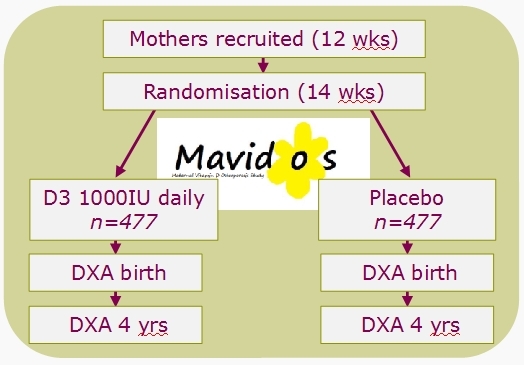 These results, together with a systematic literature review, have informed our test of vitamin D supplementation in pregnancy, the multi-centre randomised, placebo-controlled, double-blind MAVIDOS (Maternal Vitamin D Osteoporosis Study).